I was bargain hunting for my house I became addicted to Ebay! Most of it I needed, but there was one thing I thought I’d treat myself to. 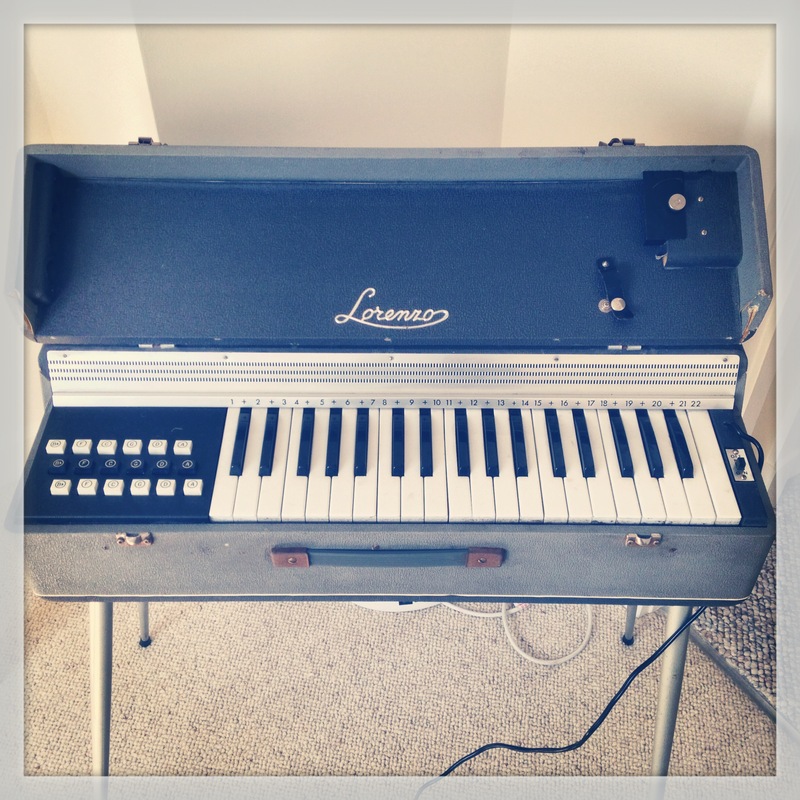 It was advertised as a 1960s Italian Lorenzo Accordion. It’s an upright with no squeeze box, after a little more research I find it’s actually a Reed Organ. It has the most unusual sound, with no volume control, it has a brilliantly loud and bright tone. It was living in Sheffield so I made a trip to pick it up. As soon as I got it home, I just wanted to play it forever, it’s quite addictive when you’re playing it, but probably very annoying for anyone listening! Unlike an accordion it has this somber feel, I took out my phone which I use to sometimes record ideas. When I was playing around on my phone I found some lyrics on my notes that I’d written as a small idea, almost like a poem. Instantly they fit so well with this sound, and a song called “Battlefield” was born. 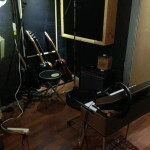 Last week I got to start recording it in the studio. It’s always great when you bring in an interesting instrument to use on a song, it gets your creativity flowing. This song has now taken on a wonderful life, with all different nationality of instruments going on it, we have a spanish sounding guitar, an Irish Bodhran, the Italian reed organ, with a very French inspired sound originally. I’ve also put some piano down and we created an extremely interesting military rhythm behind it all. You’re not going to hear this song until the album is complete, but it’s one of my favourite already not least because I didn’t even think the lyrics were a proper song, I wrote them in Austin, Texas when I was thinking back over the previous few months. Great thing about this accordion/reed organ is that it packs up into itself and looks like a little suitcase, it’s so cute. 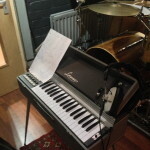 Here is the reed organ during it’s trip to the studio. As this song “Battlefield” has a loose military connection and I can’t play it for you yet, I thought I’d share another cover I love singing, also with a military connection. This is from back in 2011 – Travelin’ Soldier by the Dixie Chicks, enjoy!